I feel like as soon as I write a post to recap the month, its time to write another one! Time really flies by doesn't it? 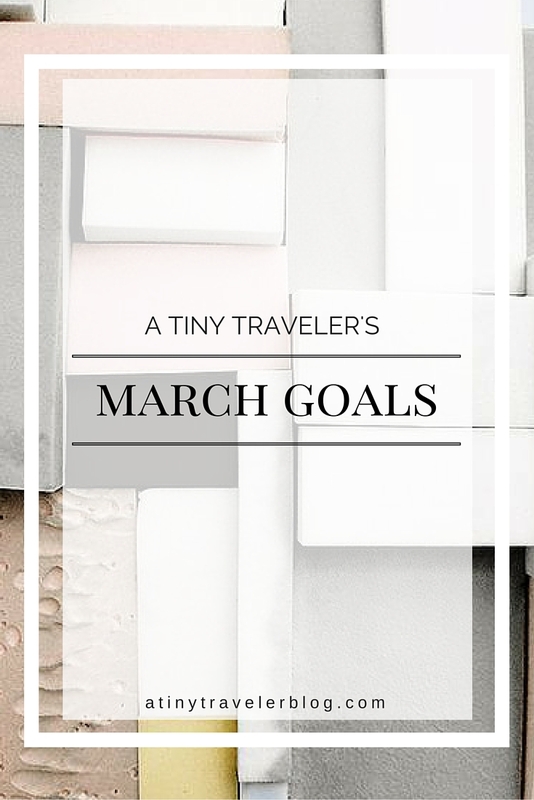 Today I want to go over my goals that I had for February and see which ones I accomplished and then chat about things I have planned for March. - Finish my social media e-book. CHECK! Use the code: SOCIALMEDIA101 to save 15% on your copy! - Get the laundry done. All of it. CHECK! Sort of... I wrote a few birthday cards so I guess that counts but there are 2-3 people that I want to write to. I gotta get on that. - Have a special Valentine's Day. Not so much. Unless working on my hand-lettering counts. - Plan out Oakmoss Collective's Spring event. + Paint more. Yes, this needs to get done. Painting is one of my favorite things to do so I'm not sure why I've taken such a long break from it. + Finish reading a book. I've started reading at least 3 different books over the last 2 months and I need to finish one. Seriously. + Get my new lettered prints and mugs up on the shop. I have quite a few new ones! + Get my wisdom teeth removed. Ouch! + Start my new job. Next Monday is my first day as the new shop assistant for Kristin Schmucker! I am beyond excited :) It came at such a great time in life and is such a blessing. God is good! + Get ready for spring. Lots of flowers, cleaning the apartment, getting rid of junk. What about you? I would love to read your goals and plans for the upcoming month! How are you prepping for Spring?